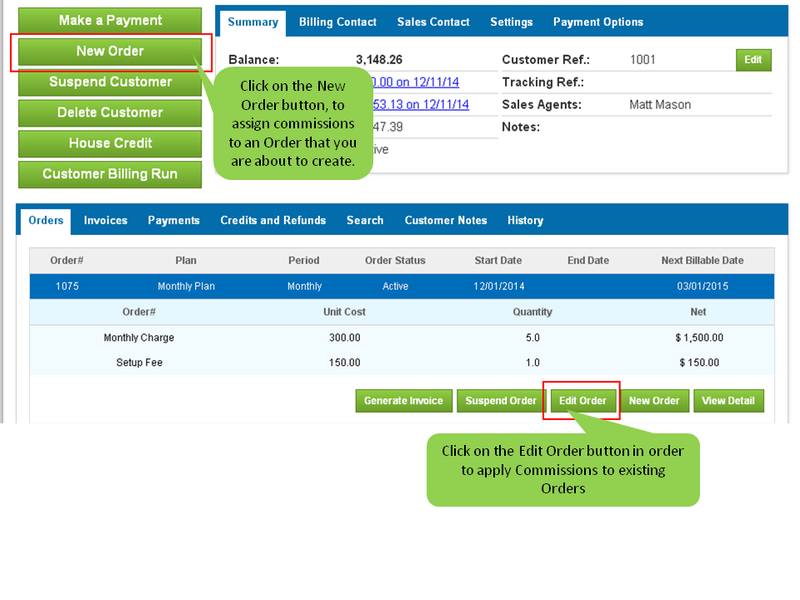 NOTE: For commission plans that need to be assigned to existing orders, select the 'edit order' button. For commission plans that are to be applied to new orders click on the 'new order' button. From the Edit Order screen, click on the highlighted link that says "Show/Hide Sales Agent"
Select the sales agent and the commission plan from the drop down list.The commission date refers to the date you would like the system to begin calculating the commission. If it is same as the order start date, you can leave it blank. If it is some other date out in the future, you can enter it here. 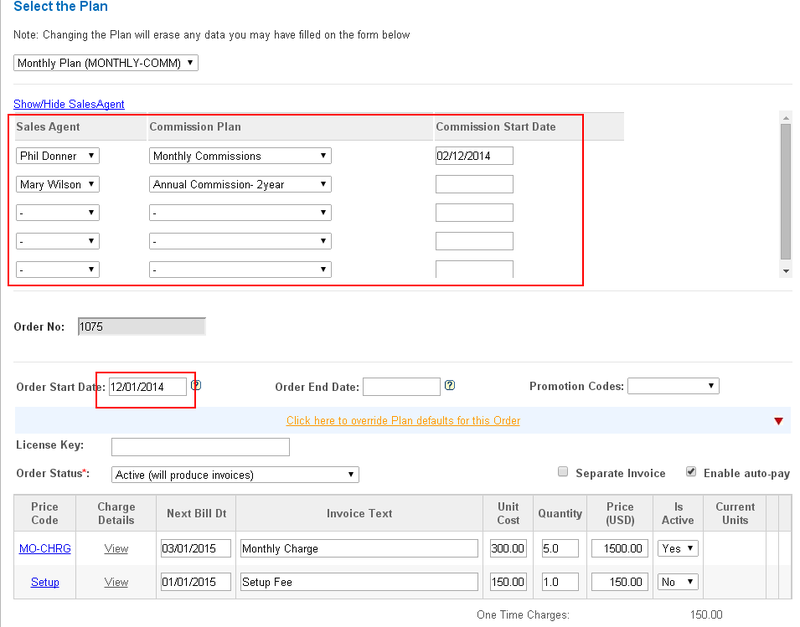 Example: You have an order start date of 2/1/2014 but you want the commissions to be calculated from 6/1/2014, you will enter 6/1/2014 in the commission start date field.Follow the rest of the Create an Order instructions and click on 'save' button.